The best thing about my gig writing twice weekly for Hamptons Magazine is the opportunity to go explore this area I spent a good part of my teenage years in. Of course, many things have changed since that time, but some things will forever remain the same. I was on my own for day one so I decided to take a ride all the way to “The End.” Montauk is the end of Long Island, the approx. 100 mile piece of land where the sound is to the north and the ocean is to the south. 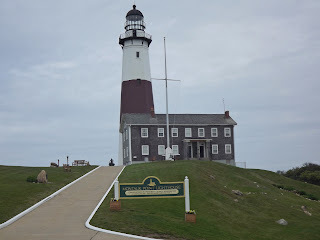 At the Montauk Light House the island comes to a peak and it’s quite the sight. 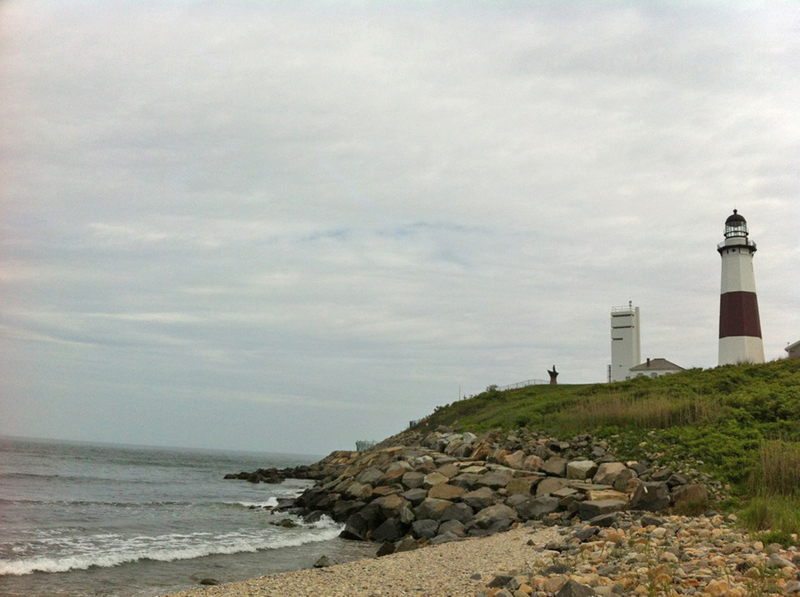 Unfortunately, the day was a bit gloomy, but I decided to venture out to the lighthouse and walk on the beach anyway. It had been too many years since I’d been at this spot. 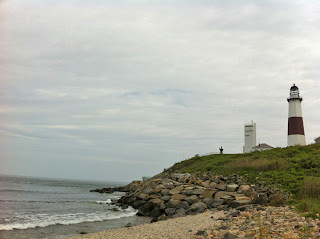 I walked the rocky path down to the beach and watched the waves for a while. I have to say that’s one of the things I have missed in the Midwest, not being able to stroll on the beach. 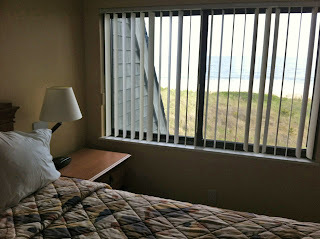 My one bedroom duplex at the Surf Club was just perfect for me. 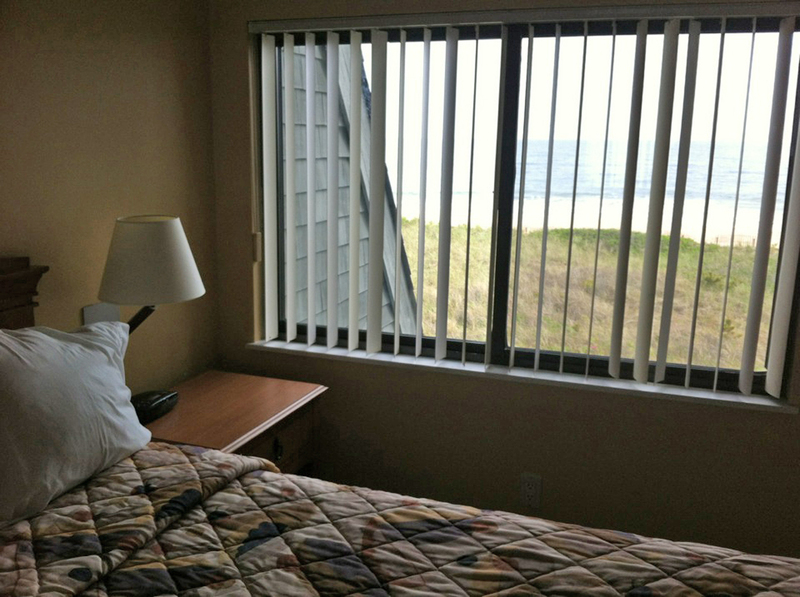 It lacked the frills of a five star resort, but made up for it with a perfect location on the beach. 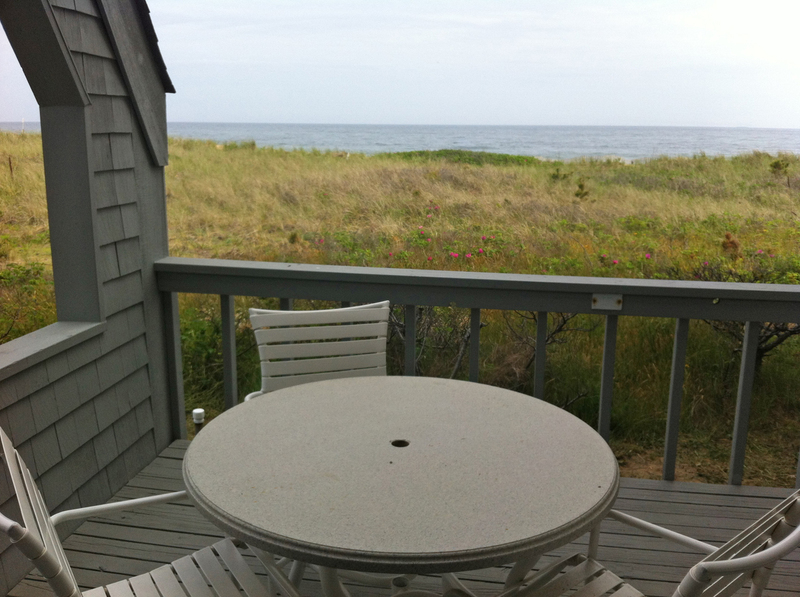 I had a small patio that was just yards from ocean, a bedroom with an ocean view window (there’s nothing like falling asleep to the sound of quiet and waves) and a short walk into downtown Montauk, a quiet beach town. 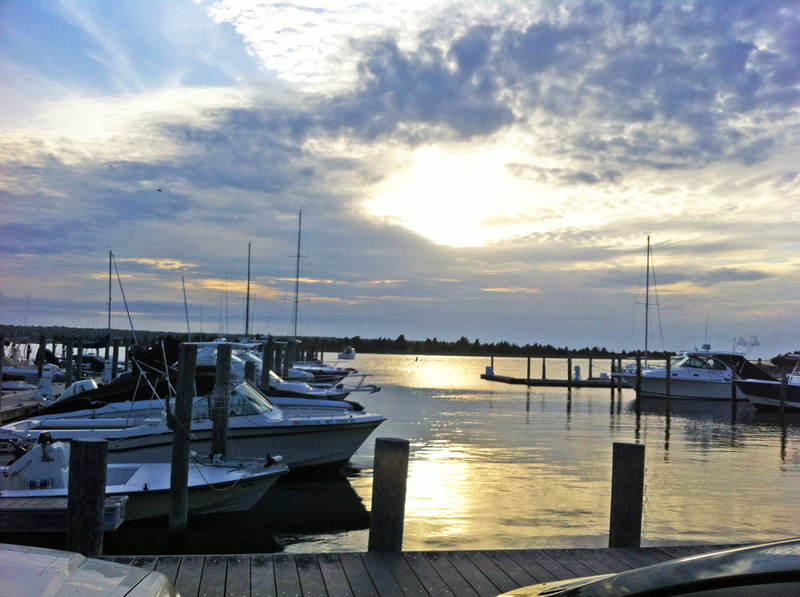 Dinner was set up at Andrra, a brand new restaurant in East Hampton that overlooks Three Mile Harbor. From what I could see it would be the perfect spot for a sunset on a day that wasn’t so cloudy. I met with their public relations rep, Lindsey, who had already managed to get to this place a few times and loved everything she had. One of the restaurants partners, Rich Silver, explained that Andrra is Albanian for “the dream.” The other owners are Sami Krasniqi and Noti Krasniqi. Sami is also the restaurant’s executive chef and he makes pita from mom’s recipe (served with parsley garlic butter). The lounge and restaurant are both upscale, but have a contemporary décor that is very relaxing. The menu is Mediterranean. 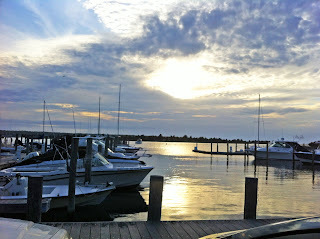 As with many restaurants on eastern Long Island the menu was mostly seafood, but I still had quite a few options. 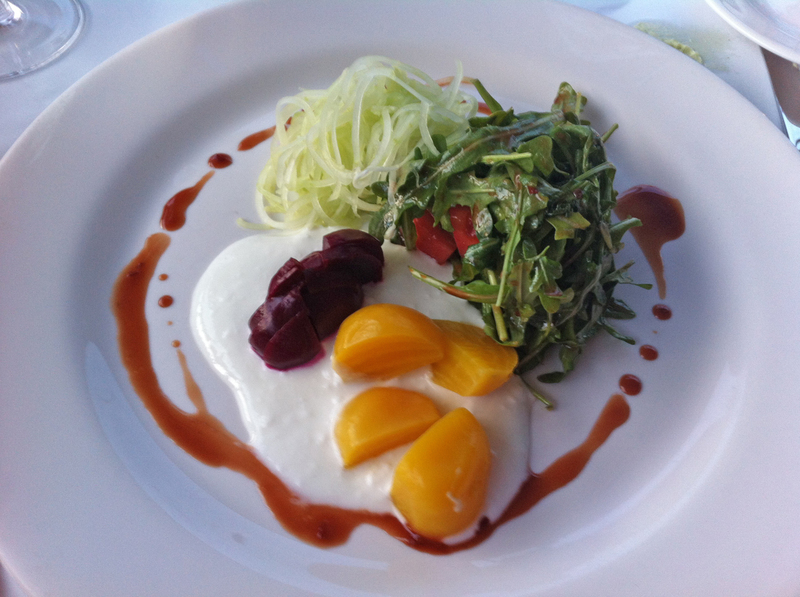 I started with a delicious salad of baby red and yellow beets, with tomato and cucumber in yogurt vinaigrette. 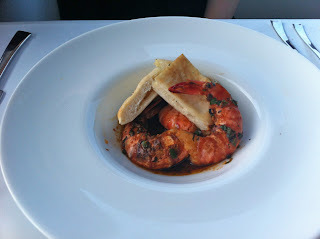 Lindsey had the Toskan BBQ Shrimp. She raved about them, trying to explain how they are both spicy and sweet at the same time. For a main course, she had the lamb chops, served with an edamame roasted garlic puree and was thrilled with the choice. 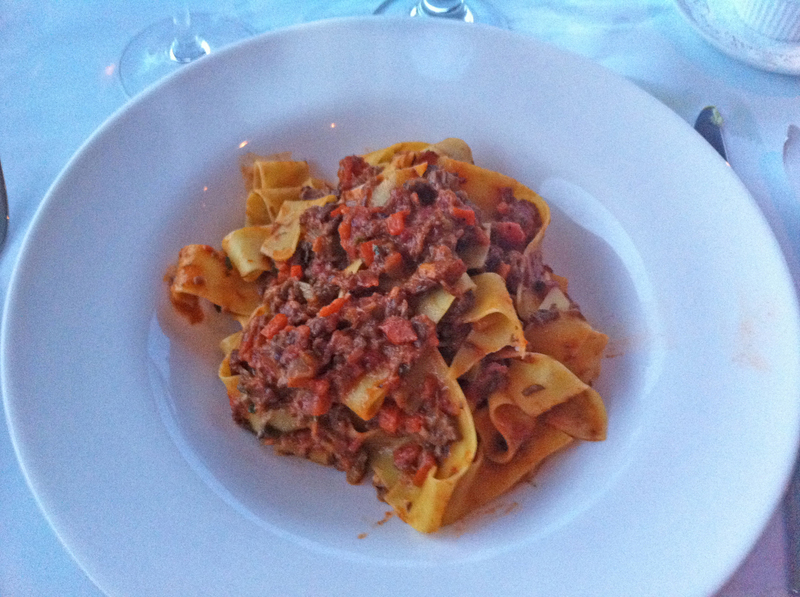 I went for the Pappardelle with Braised Beef Barolo. It was a wine braised beef shoulder with root vegetables and shaved parmesan, mixed with the long thick noodles. The combination was excellent and I wished I had someplace to take it home to for leftovers. We also enjoyed flavorful sides of spinach and asparagus. We were pretty full, but took a while to digest so we could try some dessert. The Key Lime Pie and Warm Flourless Chocolate Cake were definitely worth the wait. Both were fresh and fortunately not too heavy. I called it a night fairly early as I had a big day ahead of me. It was time to check out the newly designated Hamptons Wine Trail, mingle with some of the locals at South Edison Restaurant, and visit one of the island’s most famous places – Gurney’s Inn and Spa.